Research shows that Dementia in the UK is on the rise. 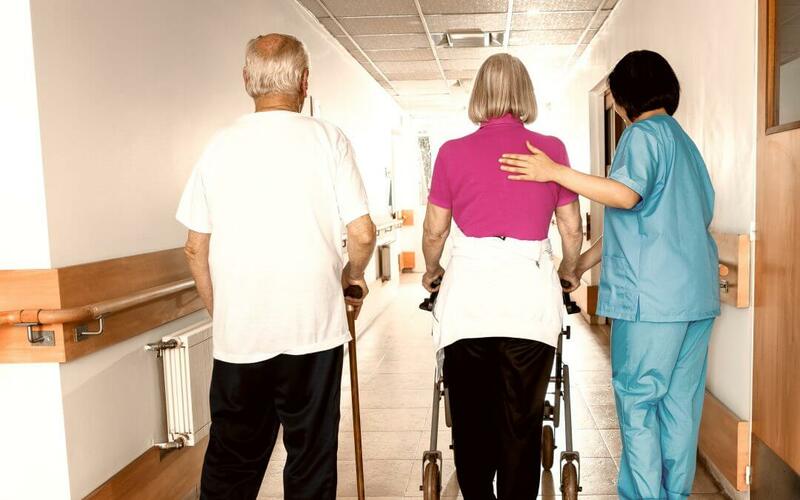 Due to an ageing population and lower mortality rate, accommodating those less abled or people with health concerns, is becoming a priority to business owners, companies and enterprises all over the UK. Making dementia friendly improvements doesn’t need to be difficult. It can be achieved relatively easily with some minor adjustments to most existing spaces and environments. Here’s our simple 4-point plan to help you make dementia friendly improvements to your showroom, business or space. Making signs easy to read with a clean font and colour combination is a basic of effective signage. Long, flowing, italic fonts might look great as part of a logo or on a welcome sign in a carpark, but when used for directional signage it might not be the clearest choice for user experience. This is especially the case if you are a care home or institution that has a good proportion of visitors or users who have additional needs. Notice how Care UK used both attractive italic fonts and a straight font for internal and directional signage by reading our case study. Signage should be clear and concise, easy to understand, follow and interpret. Dementia suffers or people with poor eyesight might struggle with reading; a basic tactic to help this issue is the introduction of graphics and pictures. The picture above for example, shows a list of rooms on the ground floor, with a small stencil graphic representing the room name in the text. Black on white is a great combination of colours and easy to read. Alternatively, an actual picture, like the one below, of the object/item in association with the room might be best practice. This helps reinforce memories and association through pictures. If you use navigational signage around a site or premises, you might wish to review how adequate or clear it is for users with additional needs. As demonstrated with the signage that uses pictures or graphics, directional arrows are also a great way of showing instead of telling. Our case study of TCL Care shows you the work that we carried out and how we can help you implement a smart, stylish look, whilst remaining informative. 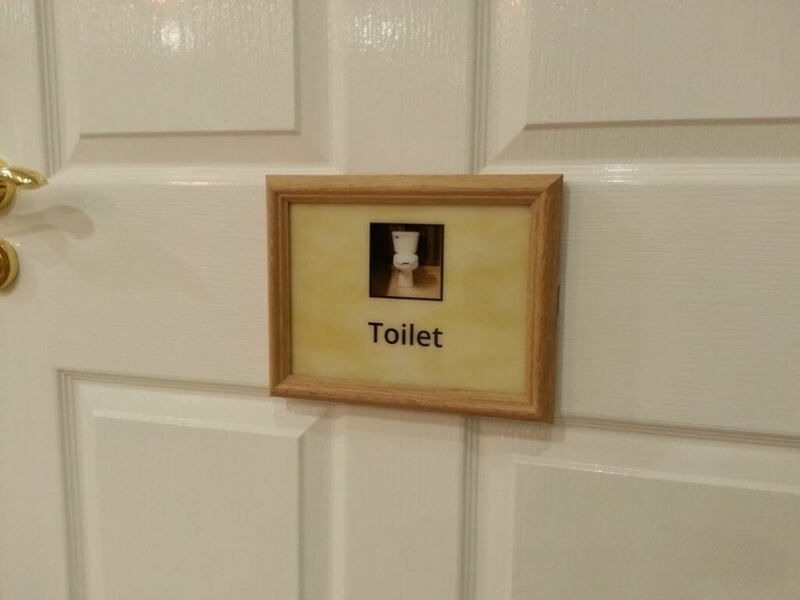 Knowing where and where not to place signage, might seem a little obvious, however it can occasionally be positioned incorrectly. Try and always place it at eye level where people can interact with it easily, as well as next to doors or on the edge of walls. Similarly, at the end of corridors works very well, as this is where people naturally look for signage. For instance, this example below demonstrates a sign for a ‘Hobby Room’ complete with pictures. Making changes to an existing space to benefit dementia users isn’t a massive challenge. There are plenty of resources online about Dementia or Alzheimer’s from various charities. If you’re worried about potential risk factors or interested in preventative measures, then read this article from the Alzheimer’s society. 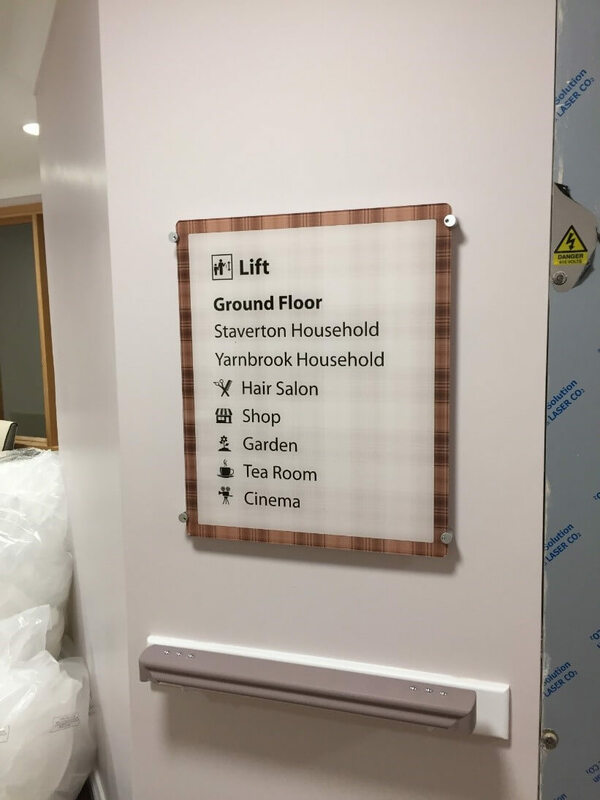 To read more about our specialist dementia signage service please visit our dedicated page or contact us for information. 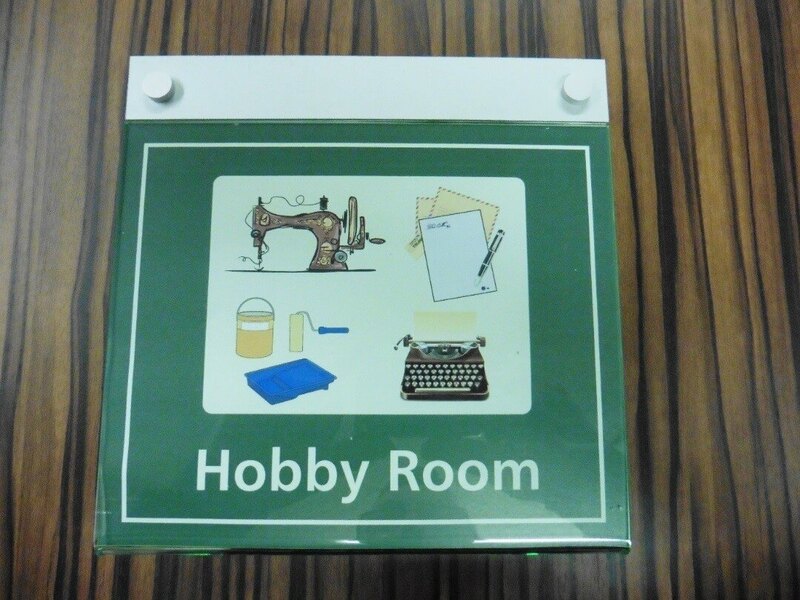 Alternatively view our signage product range here.